Consider your freezer misfortunates no more. We are your one-stop shop for appliance repair services in the Portland OR area. Our business has extensive experience with freezer repair jobs in particular, given that we have provided freezer repair in Portland OR to a large number of clients. Our technicians not only have many years under their belt, but they have the know-how to ensure that any job gets done right the first time around. From the initial consultation, you can count on us. We will make sure that all your freezer parts are in working order and figure out which particular freezer parts may need replaced. Whatever the problem is – whether your freezer completed stopped, isn’t cold enough or anything else that could happen, we will see to it that it’s resolved. With access to freezer parts in Portland OR with very close proximity to each major Portland OR area, we will have no problem getting your freezer repaired in a flash. Your freezer repair will obviously come at the cost of parts and labor. We don’t charge for our service call if a repair request is made. We also give $10 in savings on the first repair from us. 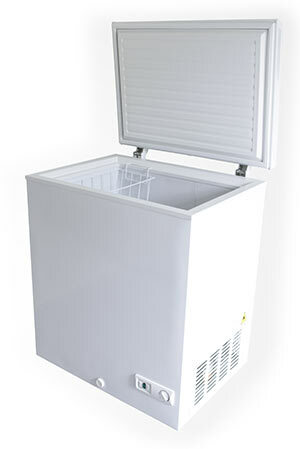 So you will be able to get your freezer back to working order again both quickly and affordably. If you need a freezer repair in Portland OR, then definitely give us a call. As a Portland freezer repair company you can trust for a quick and professional service, we will get your freezer problems behind you once and for all.